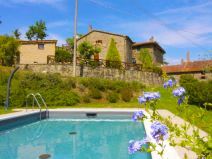 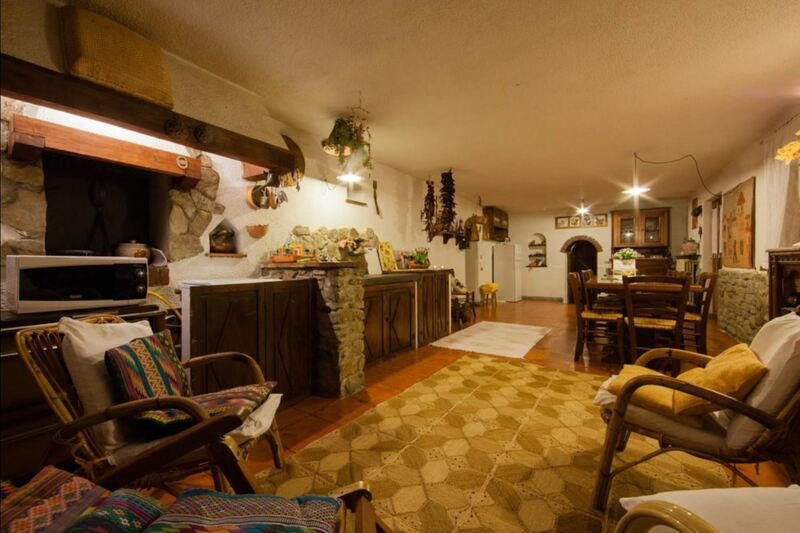 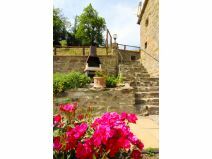 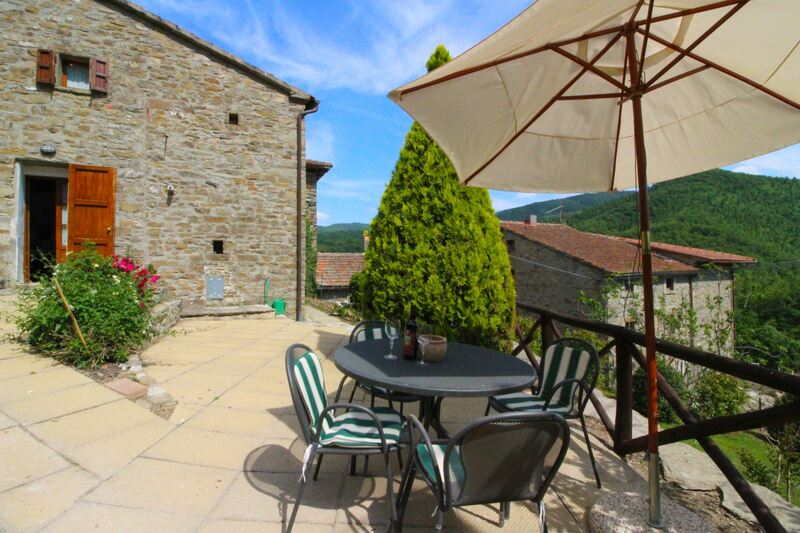 Old stone house for 4 persons with private pool and free Wi-Fi. 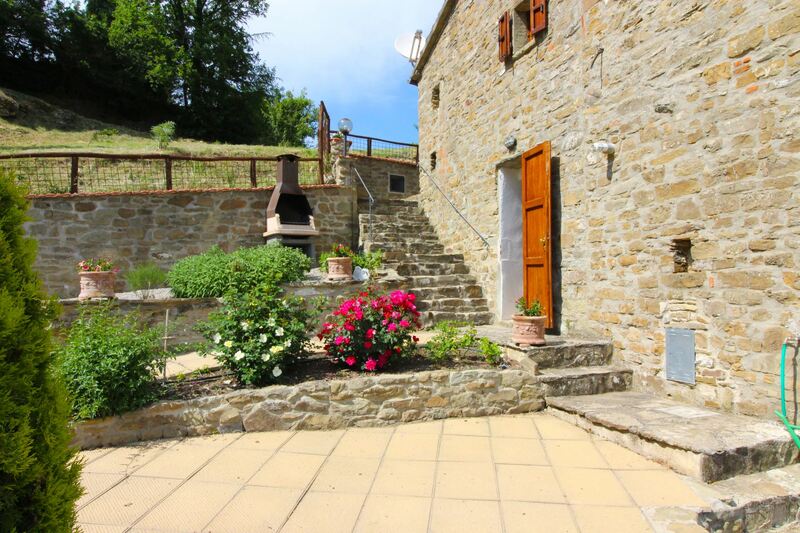 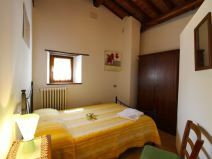 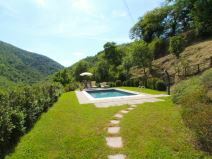 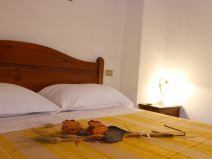 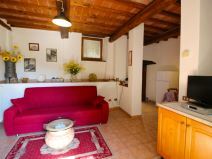 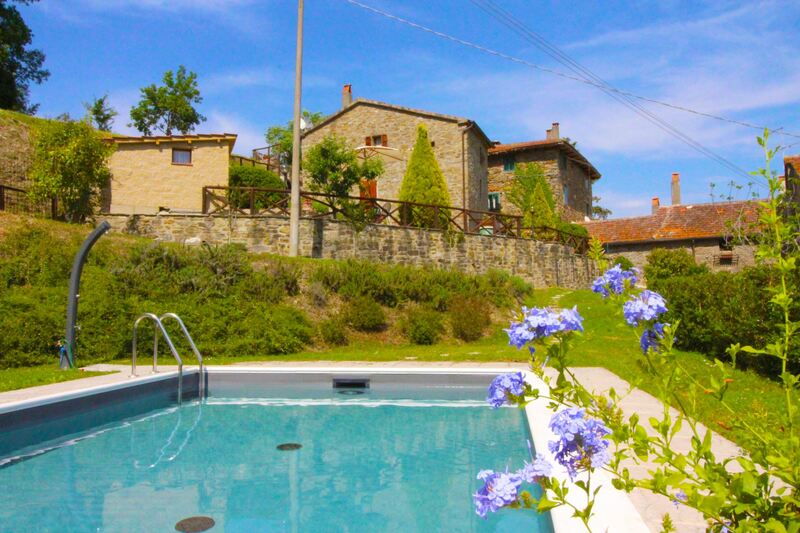 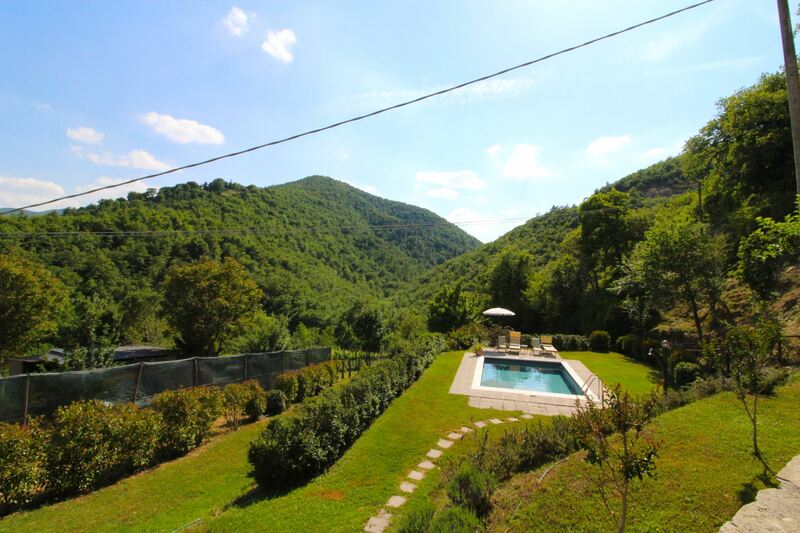 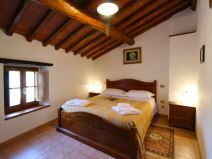 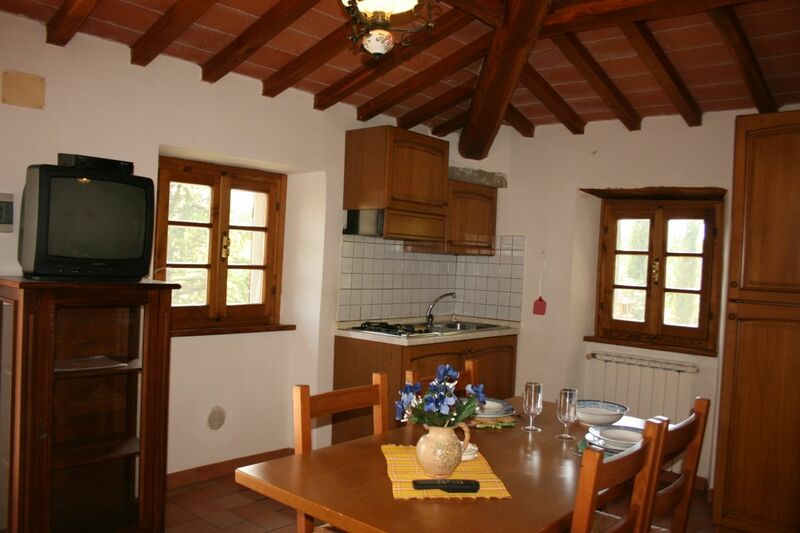 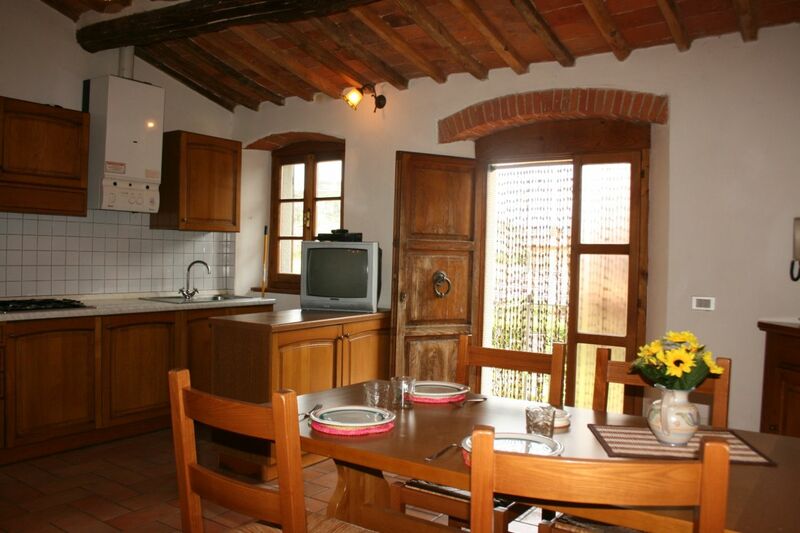 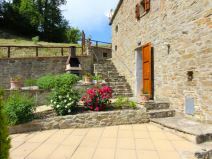 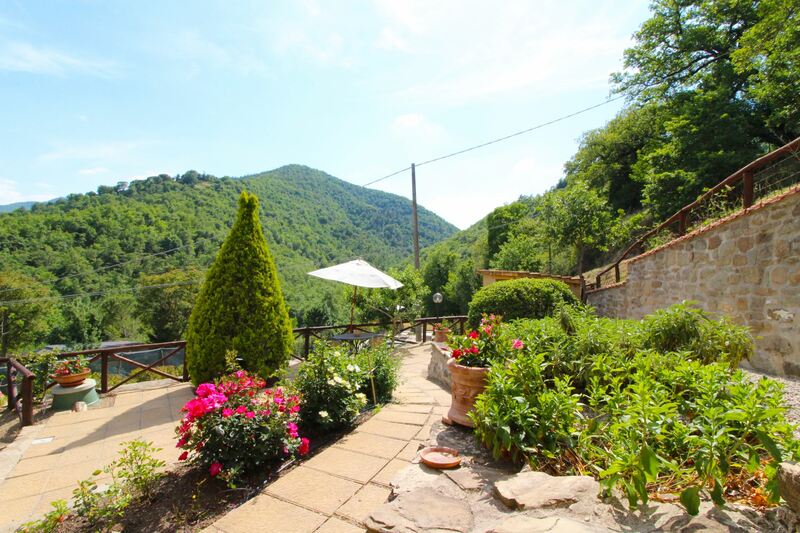 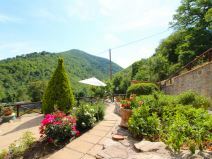 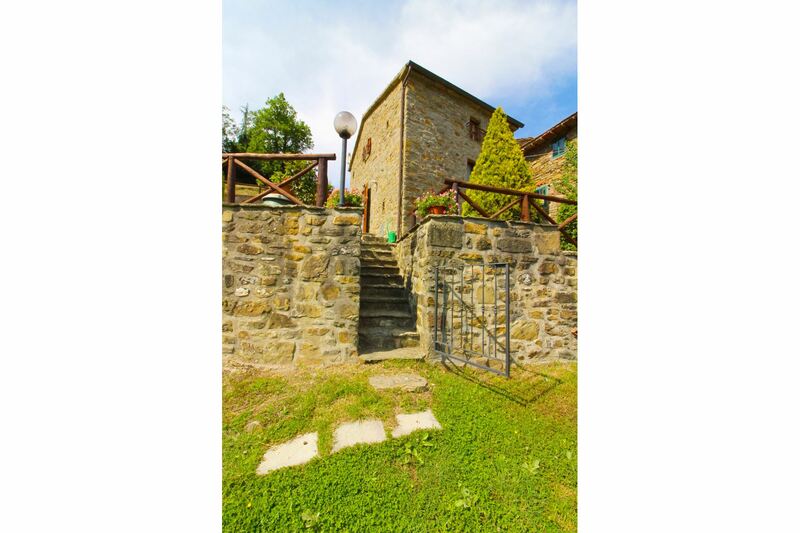 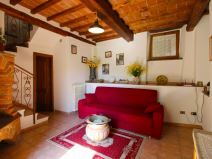 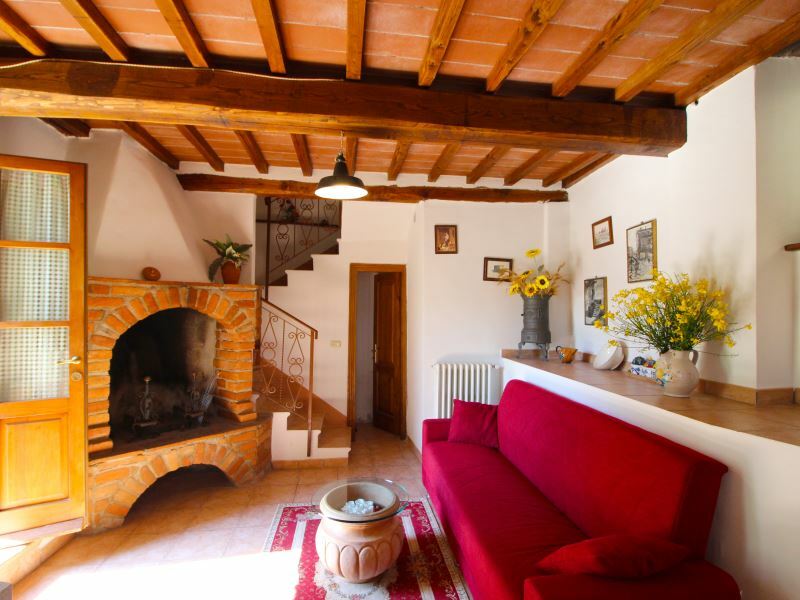 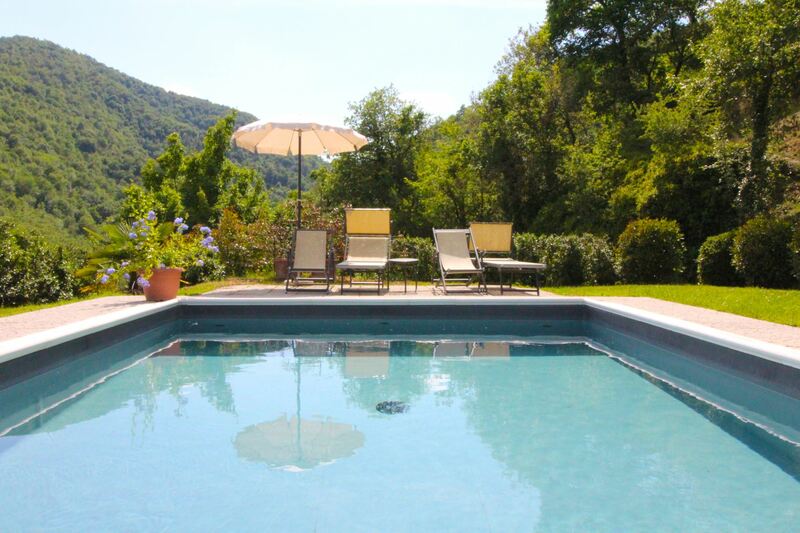 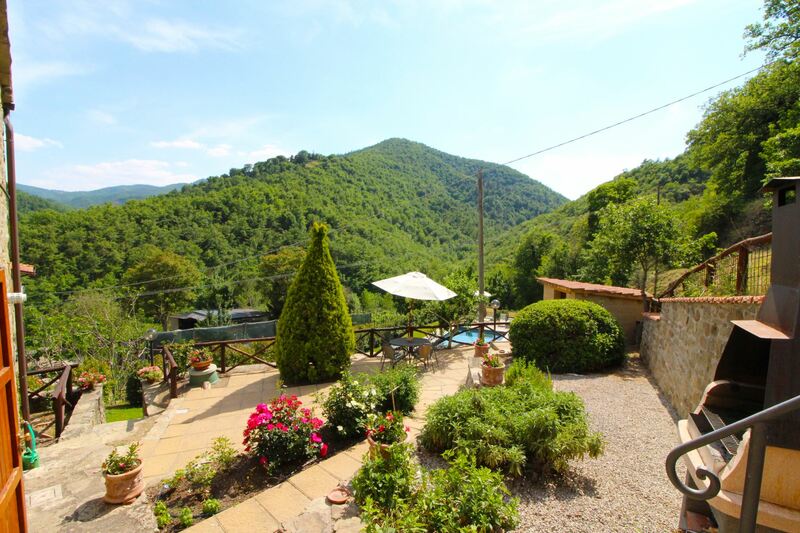 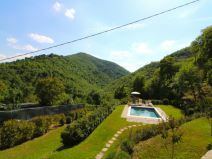 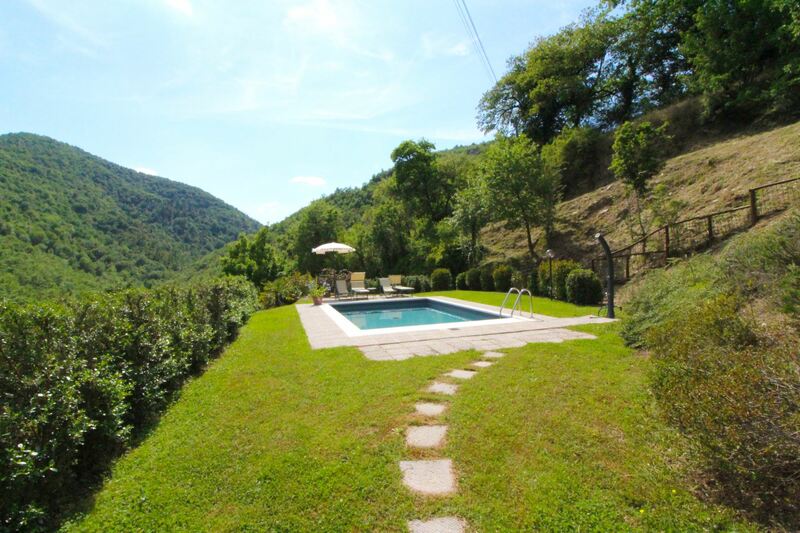 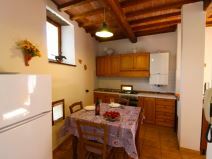 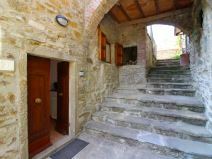 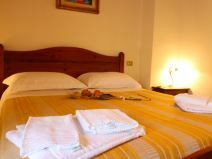 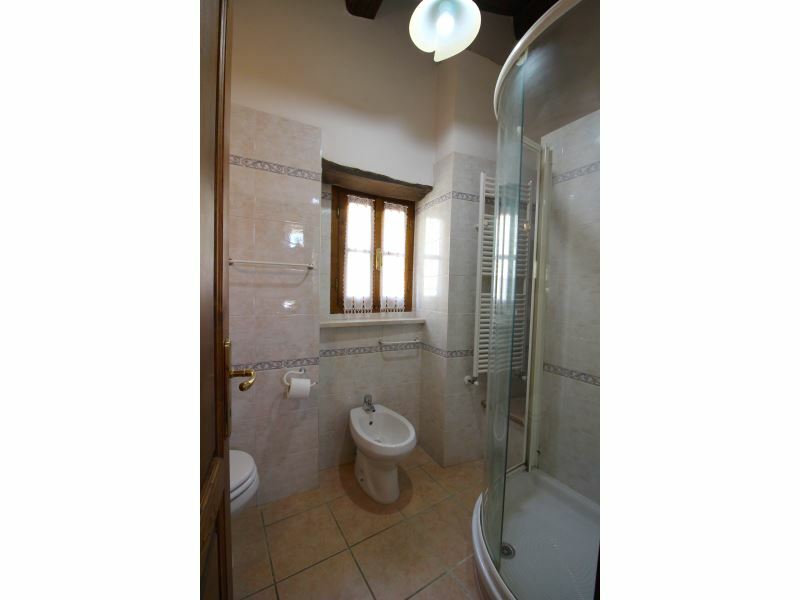 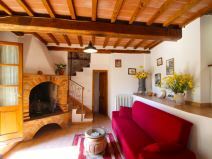 Ideal for your holiday immersed in the green hills of the Val di Chio, close to Castiglion Fiorentino. 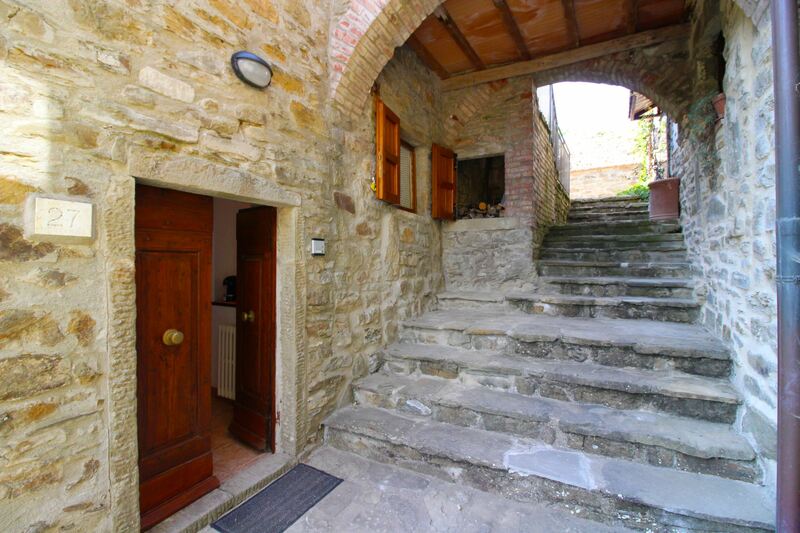 In the heart of Val di Chio, on the border between Tuscany and Umbria. 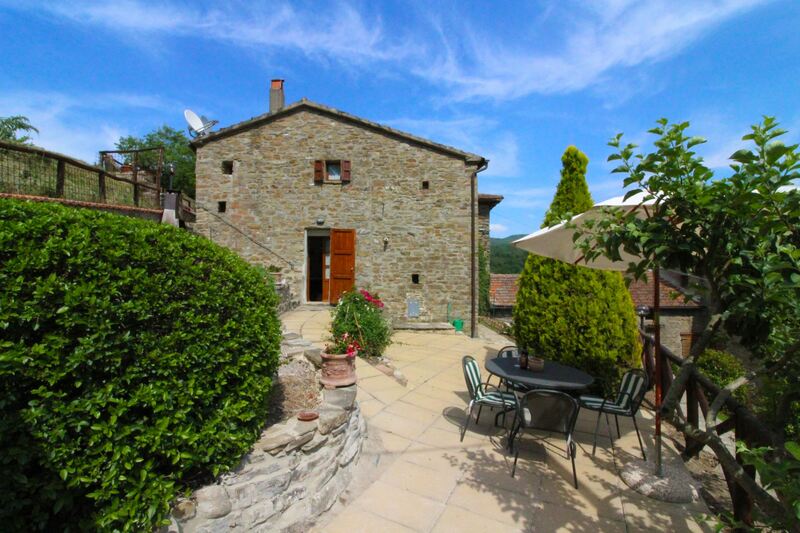 The road which from Castiglion Fiorentino continues through the Val di Chio passes through lovely wooded hills which form a natural boundary between Tuscany and Umbria. 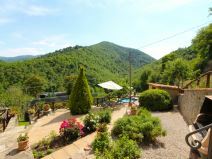 It also leads to a small agglomeration of houses nestled on the slopes of the hill and overlooking a beautiful wooded landscape. 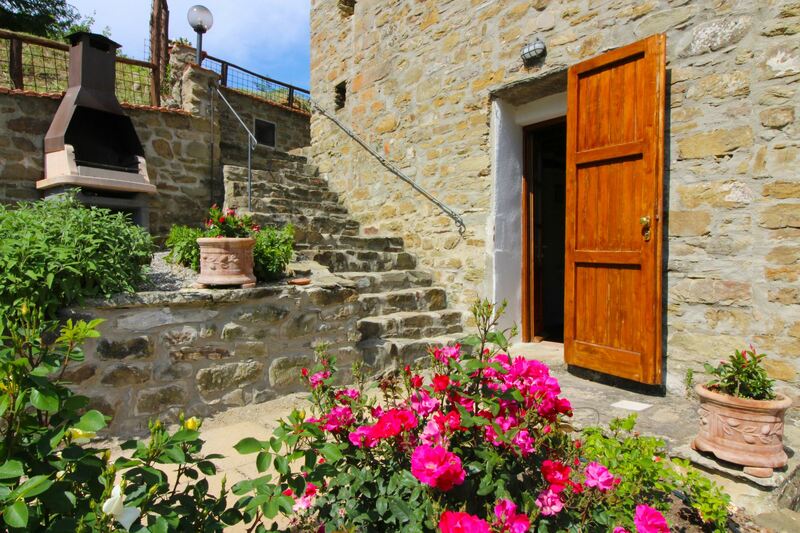 La Casa del Nonno is one of those small stone houses in this ancient rustic hamlet. 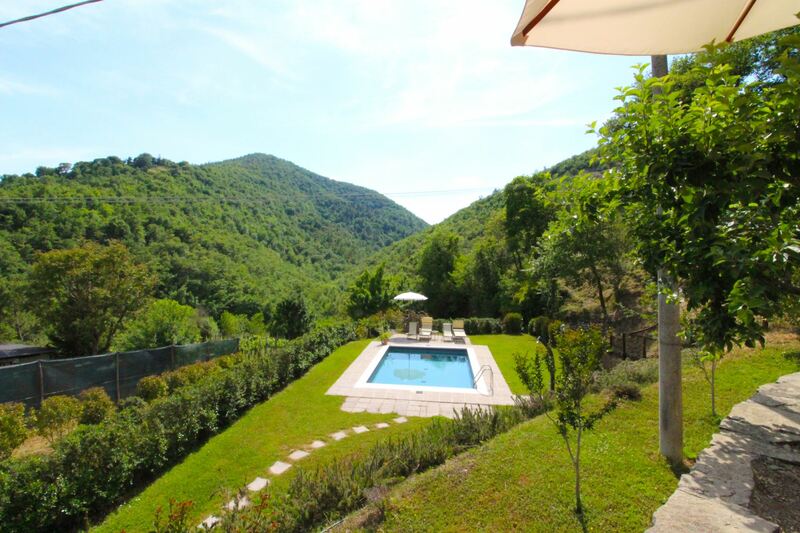 Relaxing holidays in touch with nature. 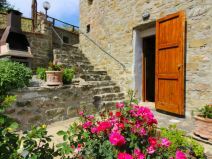 A careful restoration has brought new life to the hamlet making it an ideal vacation place for those who love peace and quietness of nature. 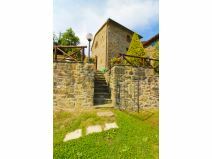 In front of the house an outdoor space arranged on natural terraces connected by stairs, fully enclosed and equipped with outdoor furniture, barbecue and small laundry room. 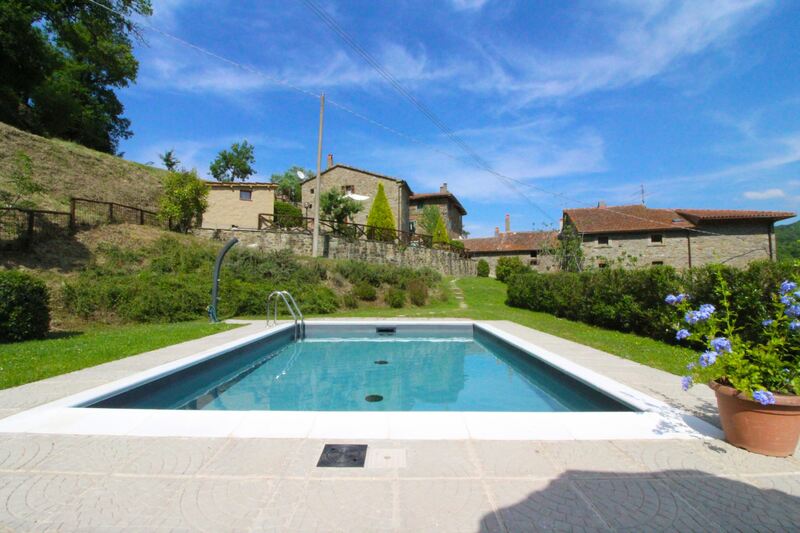 For the exclusive use of the guests also a nice swimming pool (size 6x4 mt, depth 1,20 m). 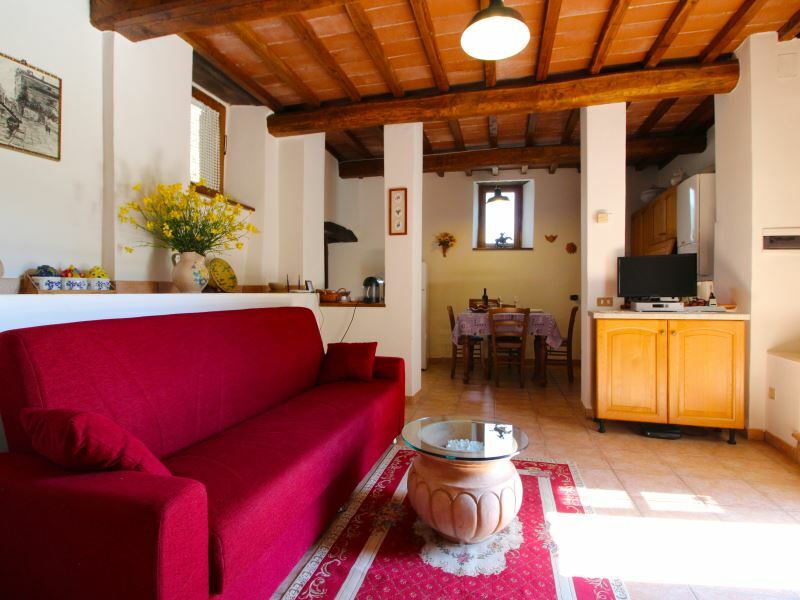 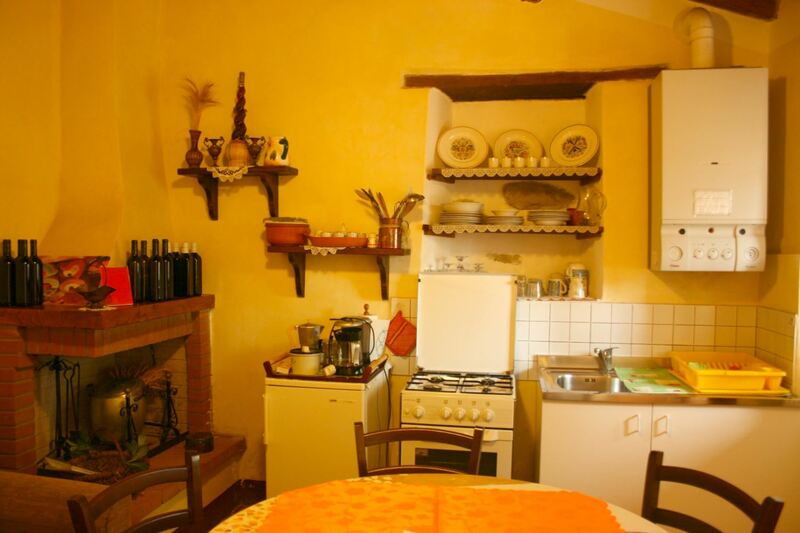 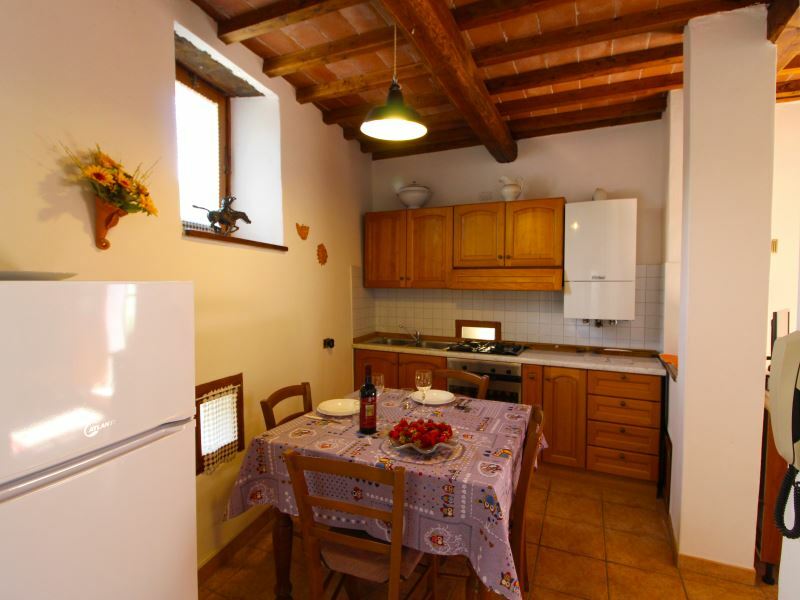 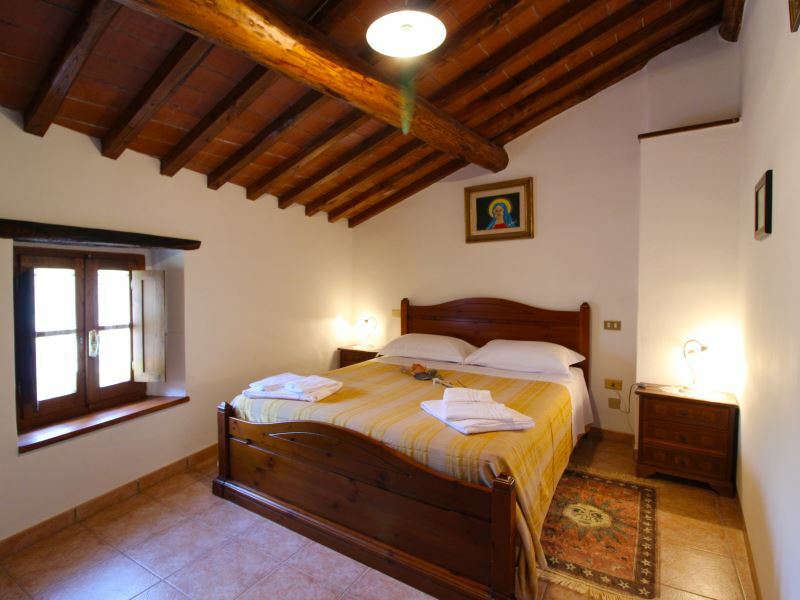 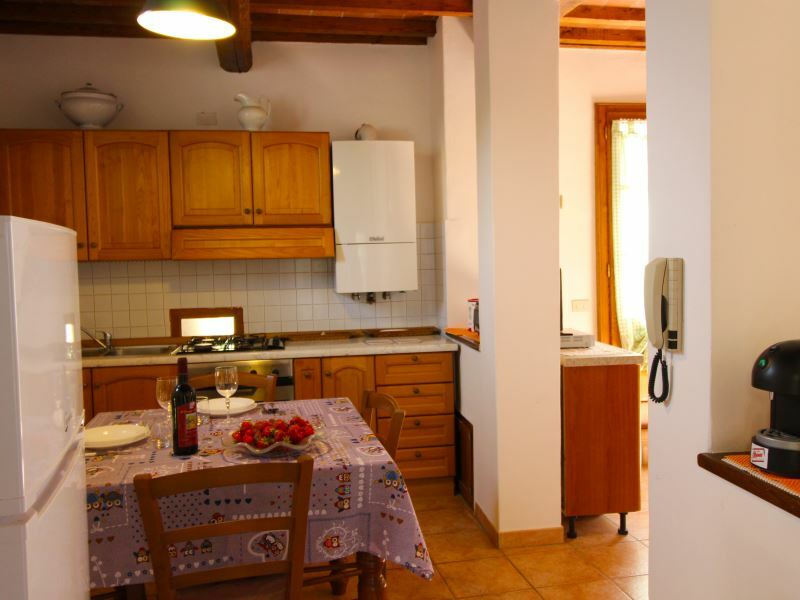 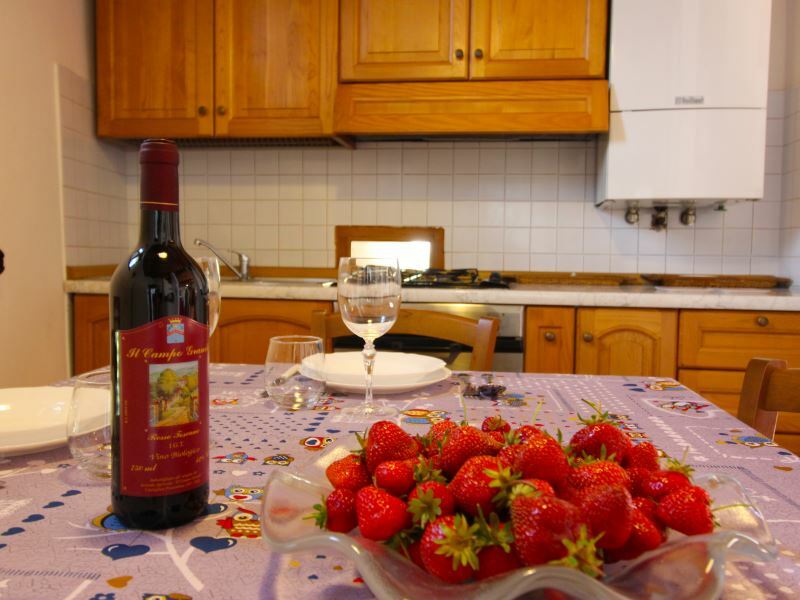 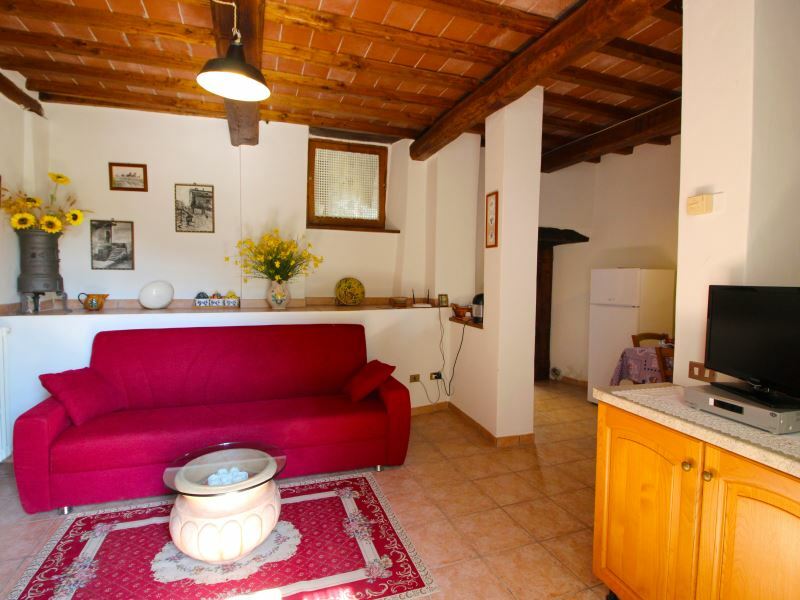 Furnishing is typical and in Tuscan style, the house is equipped with satellite TV, Wi-Fi Internet access, washing machine and oven, allowing you to spend a comfortable and relaxing holiday. 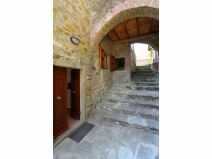 GROUND FLOOR: with double entrance on living-dining room with kitchen corner, sofa, fireplace and Satellite TV. 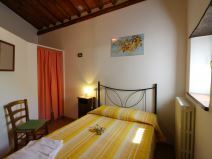 FIRST FLOOR: with double access both to the floor and through internal staircase, bathroom with shower, double bedroom, bedroom with French bed (this bedroom has no door, a curtain allows access to the room). 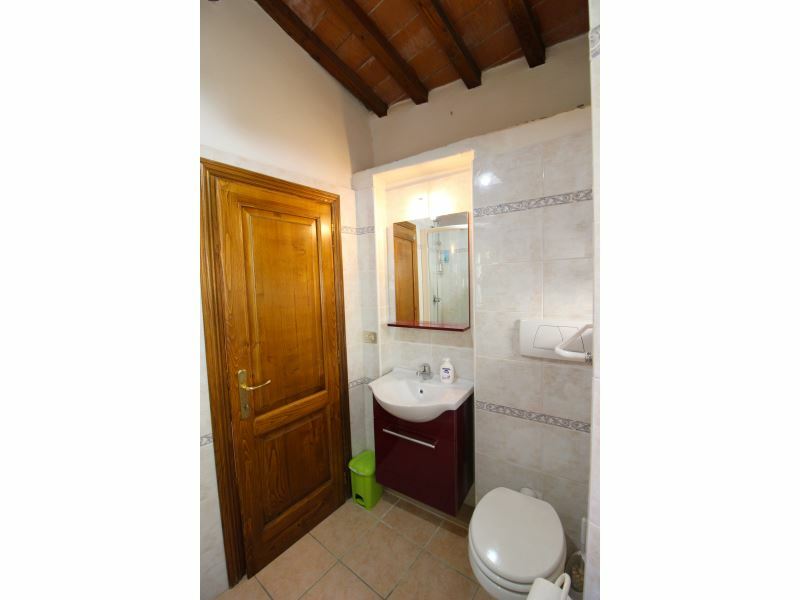 Small external laundry room with washing machine, sink and clotheshorse. 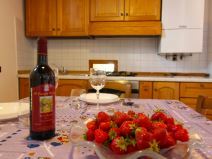 EQUIPMENT: fridge with freezer, oven, washing machine, moka coffee maker, electric oven, Satellite TV, Wi-Fi Internet access, kettle, espresso coffee maker, barbecue. 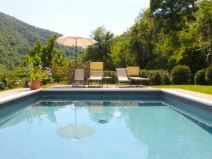 Private Pool open from 18/05 to 28/09. 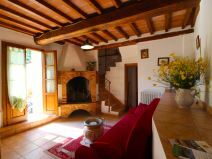 We loved staying here especially the peace and beautiful birdsong. 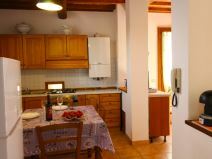 The property would be improved if the owners left a short outline about things like rubbish, recycling, how things work in the house.